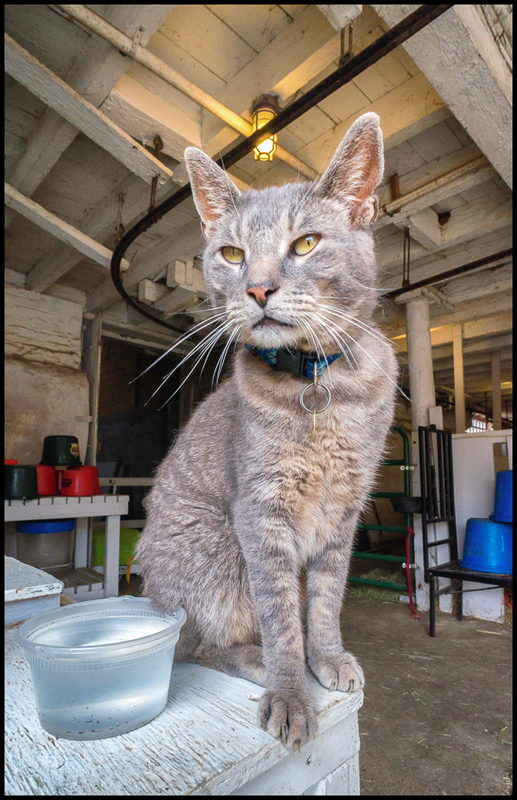 Grommet seems to be the resident cat at Muscoot Farms. There may be more, but if there are I’ve never seen them. Back in July 2013 I took a few pictures of Grommet and posted one of them (See: Muscoot Farm – Summer 2013). In that picture he looks quite ferocious, but was in fact only yawning. While reviewing old pictures for the Black and White Portfolio, I came across this one where he looks more like a normal cat (if there is such a thing). Taken with a Sony NEX 5N and E 16mm f2.8 (possibly with wide angle auxiliary lens – I can’t remember and unfortunately the metadata only shows the 16mm).